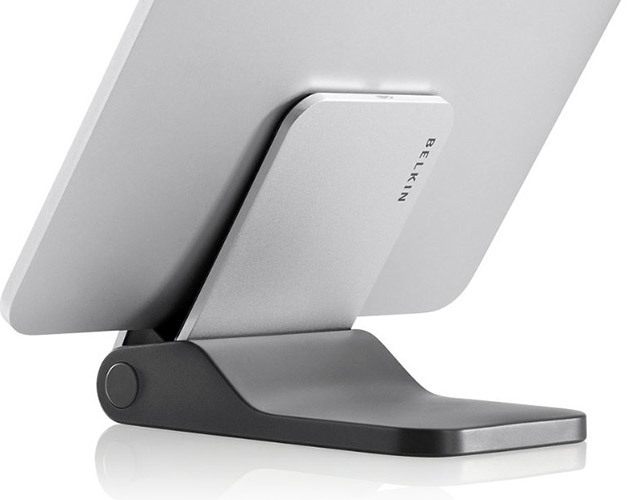 Enjoy a hands-free view of your iPad with Belkin's Flip Blade ($20). This portable stand features four position settings for optimal viewing from any angle in both landscape and portrait positions. Its durable construction provides a stable base, while its smart design allows it to fold down to a compact size for storage and transport.